Manzanilla FC celebrate their victory over the weekend in the Caribbean Welders Fishing Pond Football League. 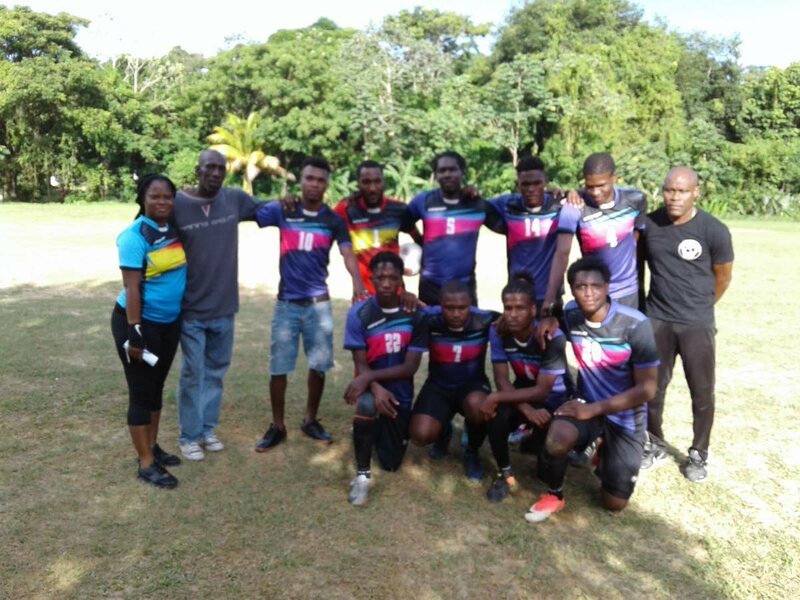 MANZANILLA FC thumped defending champions Take That and Cool It 3-1 on Sunday in Group A action at the Caribbean Welders Fishing Pond Football League at the Fishing Pond Recreation Ground. 'Cool It', winners in 2016 and 2017, had a slow start to their season last year, limping into the Big 8 knockout phase as the eighth seed only to go all the way to the final where they defeated Boys Town. But with teams separated into two groups this year instead of a league round-robin format, each defeat is a blow with only the top four in each group progressing to the Big 8. Manzanilla will be feeling good about their chances and showed their strength on Sunday with a commanding performance. Keon Boney opened the scoring with a stunning scissor kick and Arry Degale doubled the advantage for a 2-0 lead at the break. Kendall Nathaniel pulled one back after the resumption but Akiel Moses made sure of the three points with a goal of his own. On Saturday, former finalists Gremio brushed aside Fishing Pond Youths 3-0. Dwain Ovid, Rickell Dixon and JC Lewis were the scorers for Gremio who have failed to seriously challenge for the title after reaching and losing the 2014 and 2015 finals. Action resumes this weekend with doubleheaders on both days. Reply to "Manzan stun champs ‘Cool It’ in Fishing Pond"